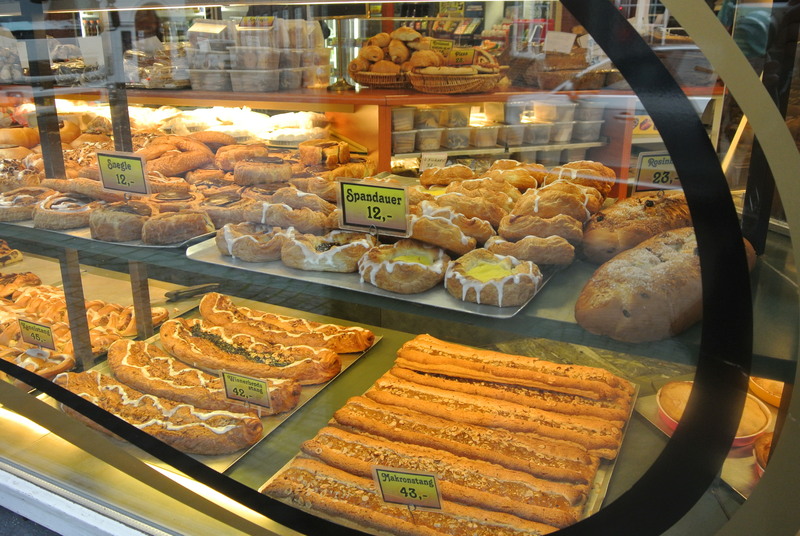 When it came to finally making a decision that we were going to Denmark, my first thoughts were, I’m going to the land of danishes and butter cookies! And well, it definitely lived up to my expectations. 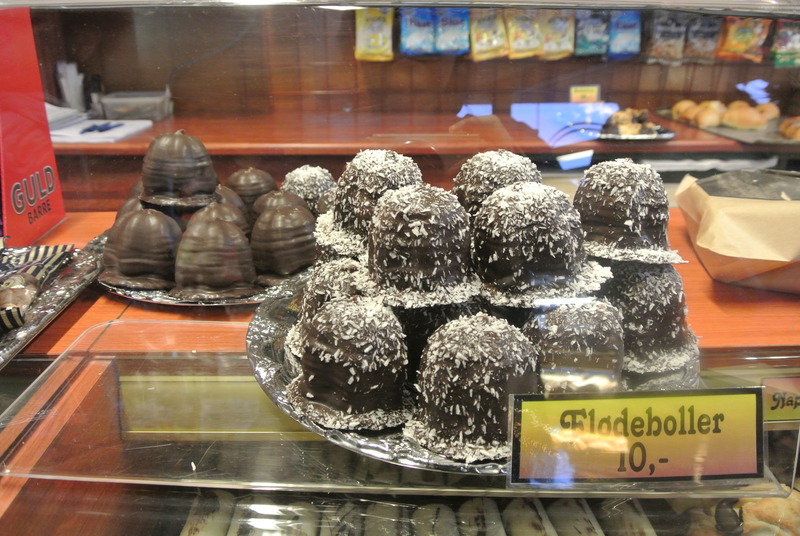 In Ribe, we found a traditional Danish cafe full of delicious goodies, Radhus Conditoriet. 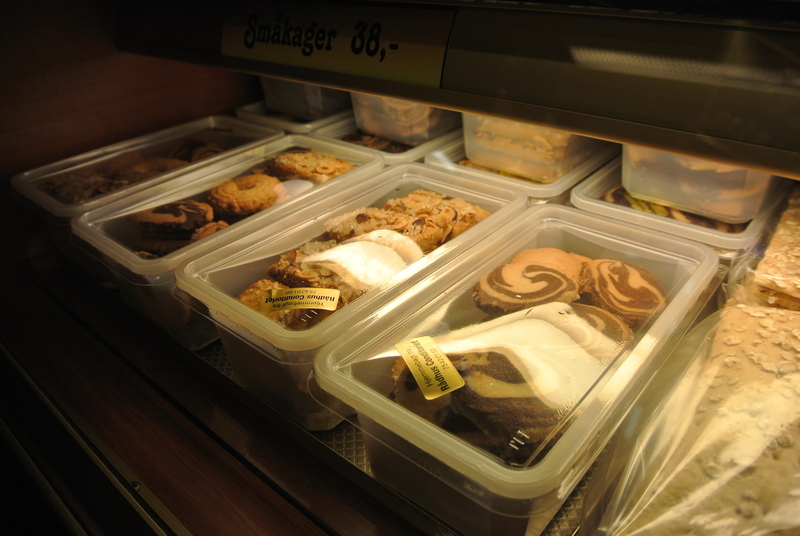 Everything from my newly discovered favourite hindbaersnitte to danishes to the flodeboller (chocolate covered marshmallow cookies) – all originating from Denmark. 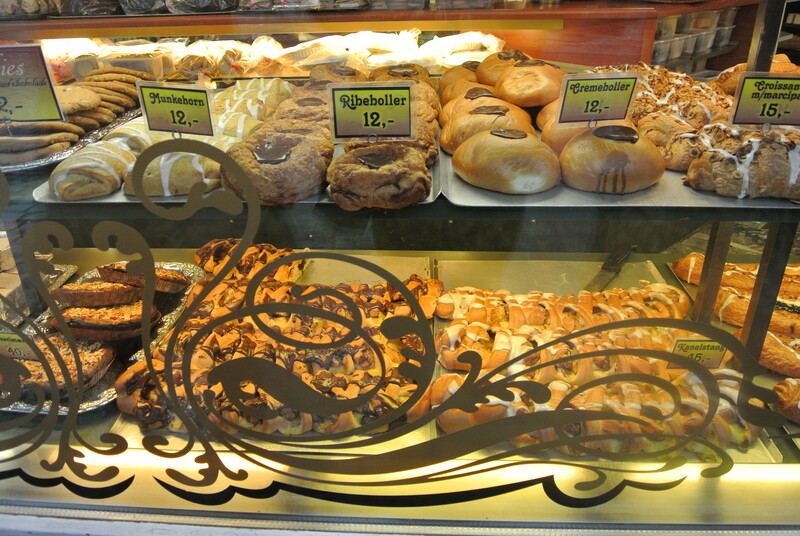 I wasn’t able to try them all from this pastry shop but I did buy a couple of boxes of their homemade Danish butter cookies. 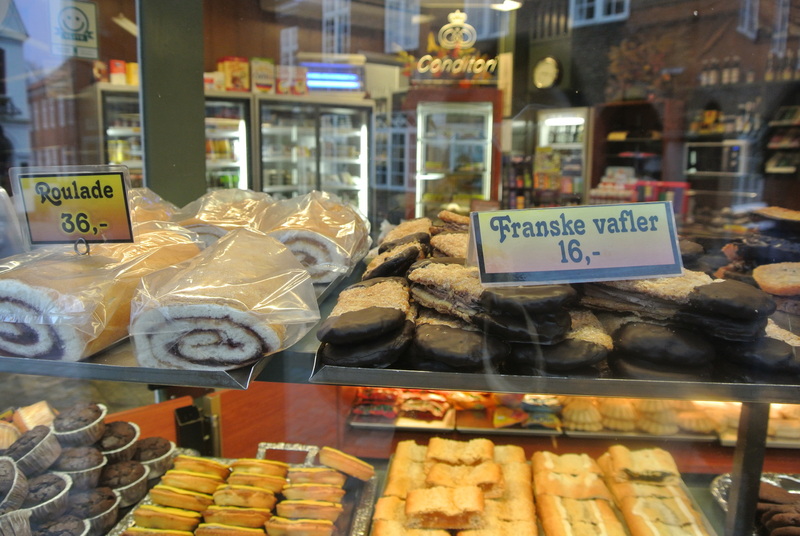 We all know the familiar blue tins covered with scenes of Denmark’s countryside filled with 5 varieties of butter cookies and they are good, but these were definitely a lot fresher and you can taste it – they were buttery, crumbly and delicious! 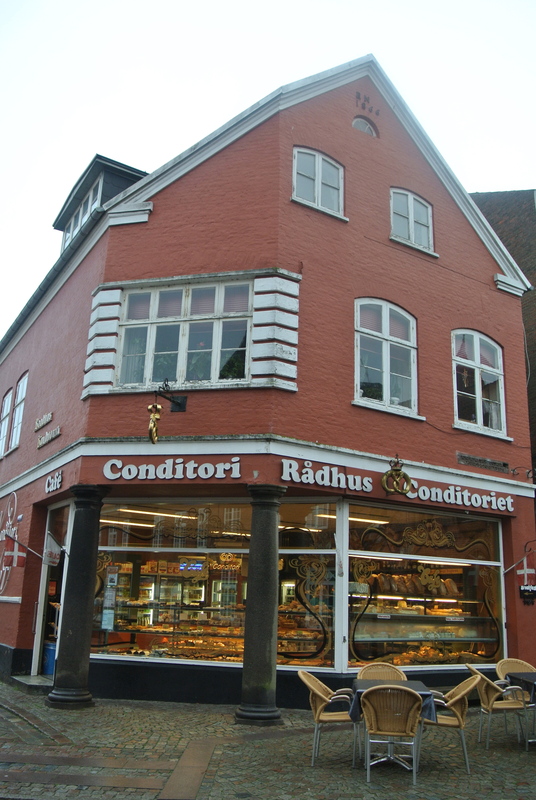 A traditional bakery in Ribe. 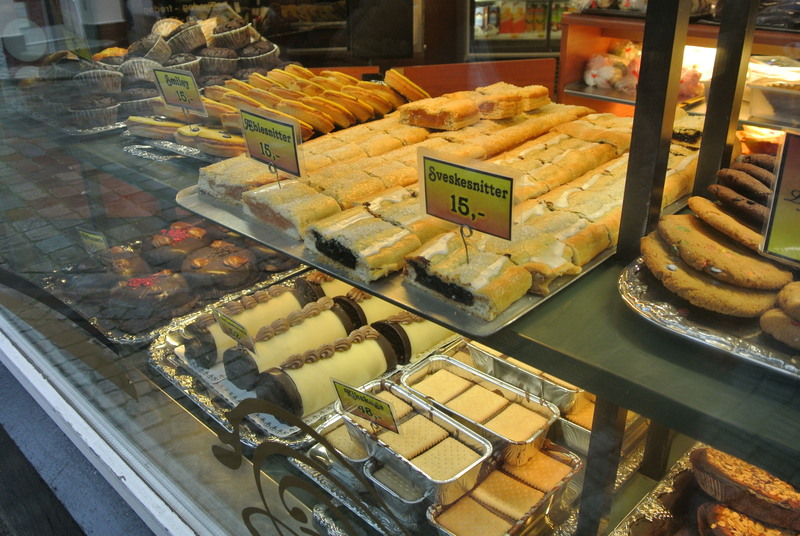 Roll cakes and sandwich cookies. 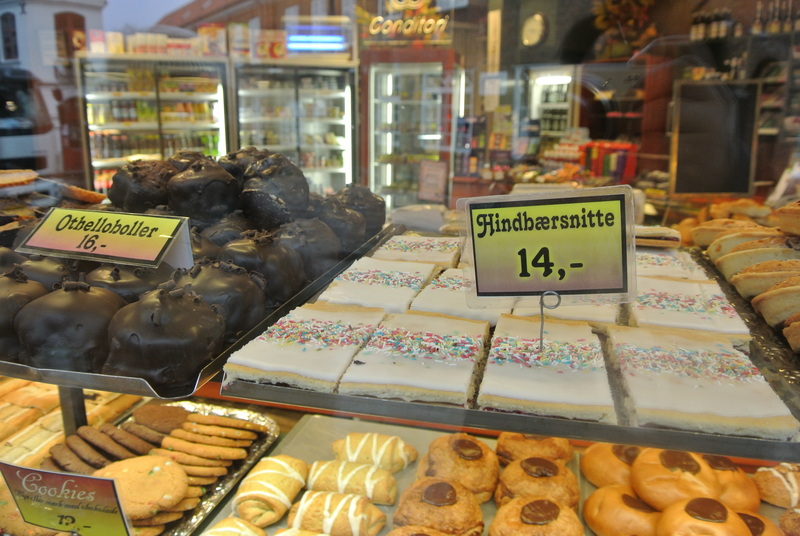 This bakery’s version of a hindbaersnitte.